As I have mentioned we spend a lot of time in our driveway. So I have to keep coming up with new games to keep the boys entertained out there. 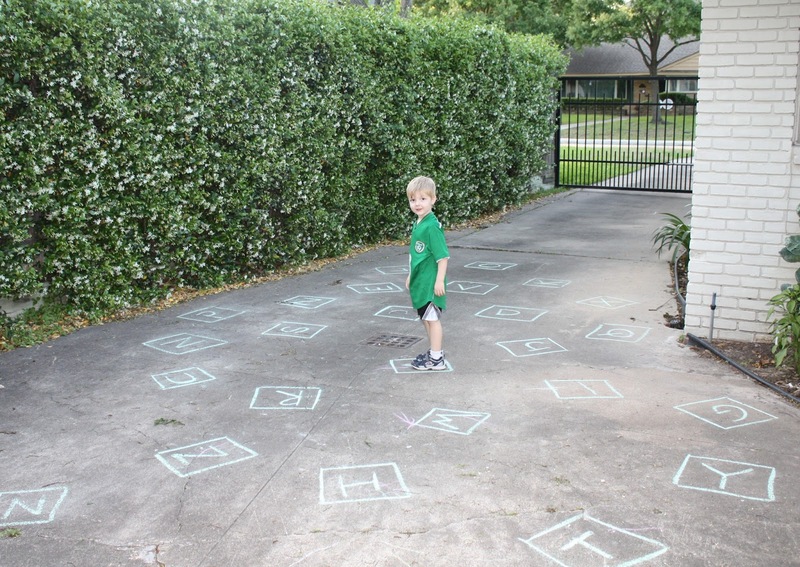 I remembered the pop pop game that I had for Zach when he was little and thought a similar but less taxing (for me) game could work on the driveway. 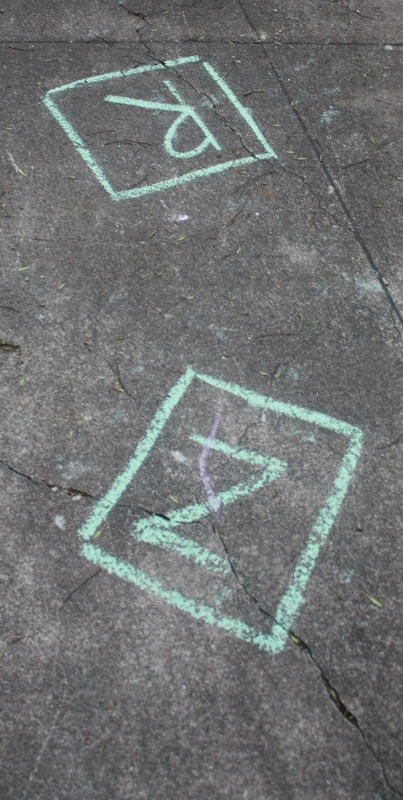 It is very simple really, I just drew the letters of the alphabet on the ground in random order and then called them out. 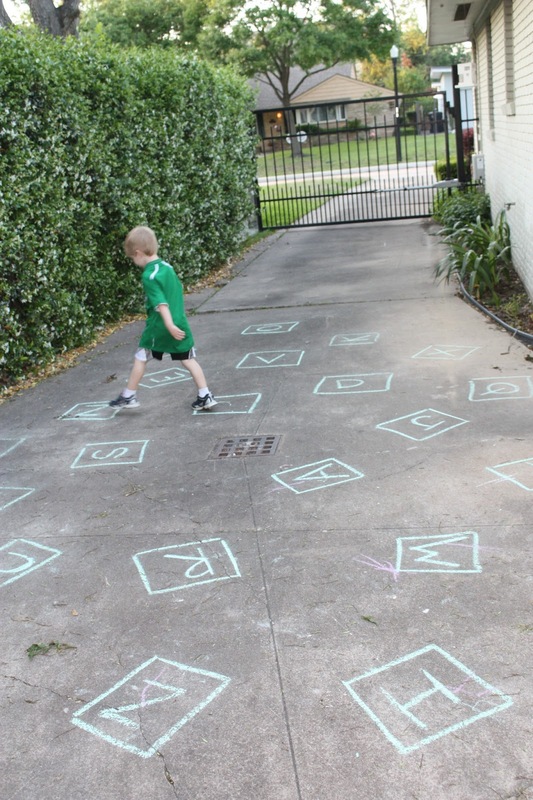 Zach then ran or jumped from letter to letter. 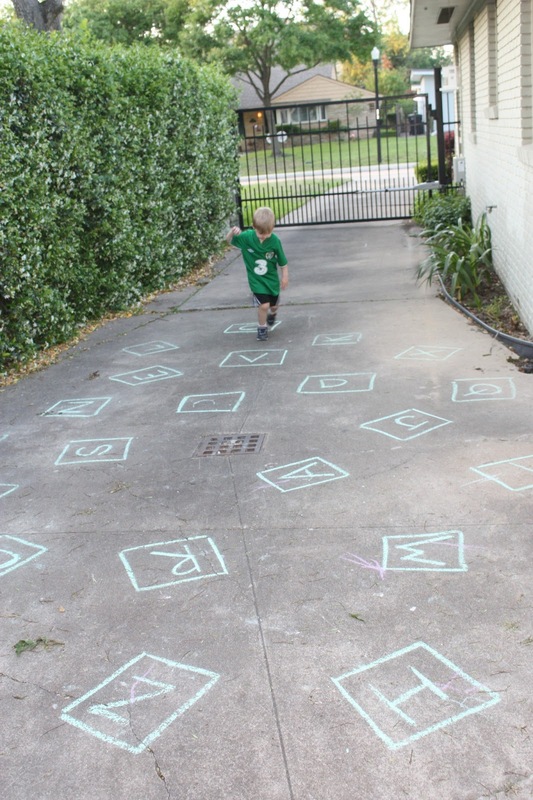 He is getting a lot better with letter recognition and he liked this game. I spotted another version of this idea on Pinterest and I might try that next time. Especially if I can figure a way for him to pull James in the wagon. Just for my fun. Don’t say I am not using my education degree. Look at those perfect upper case letters.